Facebook is "fully committed" to providing detailed information about ads bought in Russia during the US election, says Sheryl Sandberg. The ads, pages they linked to and who they were targeted at have been given to investigators, said Ms Sandberg. The ads and the fake accounts used to get them on Facebook had been found and removed, she said. However, she added, if the ads had been placed by real accounts, Facebook would not have removed them. "Things happened on our platform in this election that shouldn't have happened," said Ms Sandberg, chief operating officer of the social network in an interview with news site Axios. "We have an enormous responsibility here," she said, adding that Facebook was "fully co-operating" with official investigators looking into what are believed to be Russian efforts to influence the election. On 11 October, Ms Sandberg and others from Facebook appeared before US congressional panels looking into reports of Russian interference in the election. "We think it's important that they get the whole picture and they explain that fully to the American public," she said, adding that once the investigation was concluded and made public, Facebook would provide more information about the ads and how they were used. Ms Sandberg said that Facebook had stepped up its monitoring systems since the discovery of the wide-ranging ad campaign, which piped more than 3,000 ads on to the social network that were seen by about 10 million people. Facebook was investing in machine-learning techniques to help spot fake accounts that are being used to spread similar ads to those seen in the 2016 campaign. It had also employed 4,000 people to vet and review content before it was put up on the network. The site had also taken steps to stop those behind the fake accounts profiting from the ads they put on Facebook, she said. It also expected to get more information from US intelligence agencies on other "bad actors" and would move to limit their access to Facebook, said Ms Sandberg during the wide-ranging interview. The social network was "aggressively" following up leads it had already been passed. "We do not want this kind of foreign interference in Facebook," she added. "No-one wants that kind of interference." 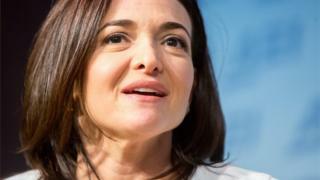 Expanding on whether the adverts would have been allowed to run if they were posted by real people, Ms Sandberg said the site had no interest in vetting information or curbing free speech as this could set a dangerous precedent. "When you cut off speech for one person, you cut off speech for all people, she said.